Director Chen Shi-Zheng brought a nonlinear theatrical sensibility to the piece, making the coexistence of past and present, and the dead and the living, seem perfectly reasonable. 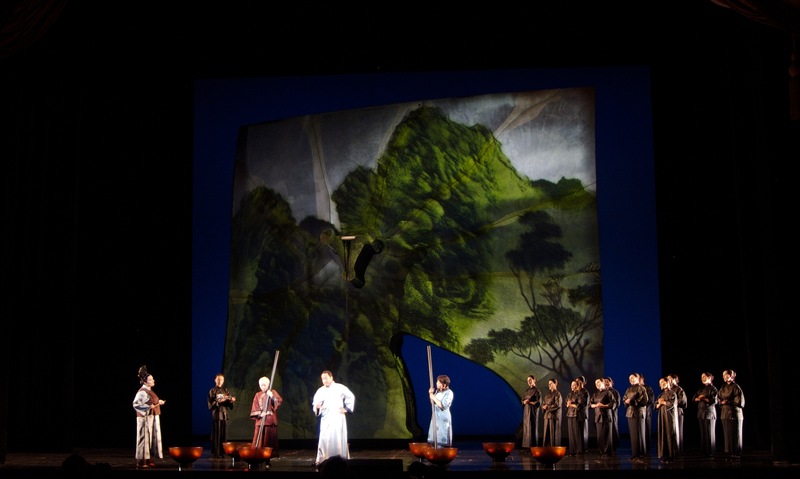 Mr. Chen created fluid stage pictures that moved easily between places and eras. In its skillful integration of emotional and the fantastic, the whole opera seemed to levitate onto a different plane. The extra layer of theatrical pageantry concocted by director Chen Shi-Zheng is a treat fort he eyes… But it bears an ironic edge as well, because at heart, Bonesetter is an exercise in uncluttered simplicity. The renowned Chinese director Chen Shi-Zheng has staged the opera boldly, with stylistic infusions from the Kunju tradition. Director Chen Shi-Zheng, a Chinese emigre whose unforgettable production of 19-hour classical Kunju opera The Peony Pavilion at New York’s Lincoln Center in 1999 made him a theatrical star. Chen’s production [of Bonesetter’s Daughter] is elaborate… elegance … excitement.